Play-Doh Malaysia Unveils Malaysian-Inspired Food Sculptures To Celebrate Malaysia Day And World Play-Doh Day. 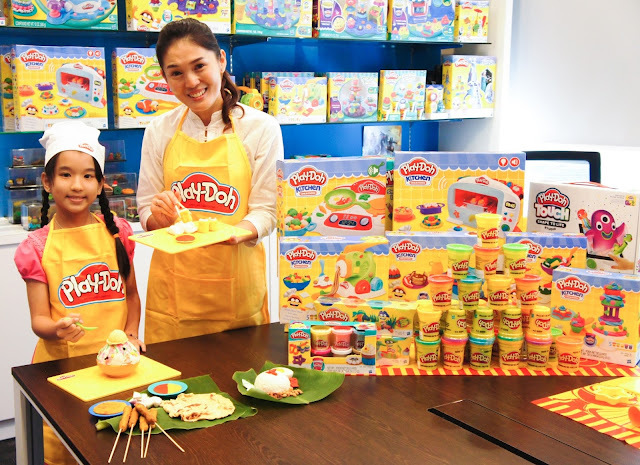 Play-Doh Malaysia’s first Doh-Bassador of Creativity showcases her talent through a series of Malaysian-inspired delicacies. 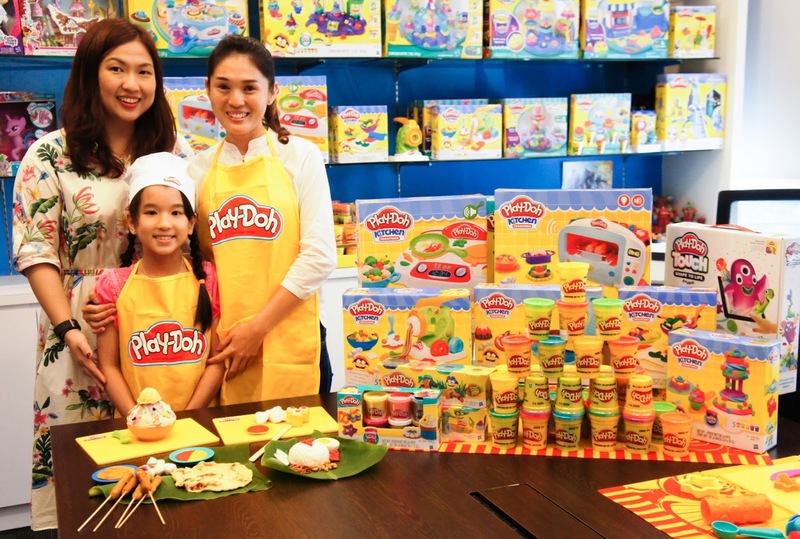 Play-Doh Malaysia has scouted their first Doh-Bassador of Creativity through its inaugural contest, organised by Hasbro Toy (Malaysia) Sdn Bhd last month. 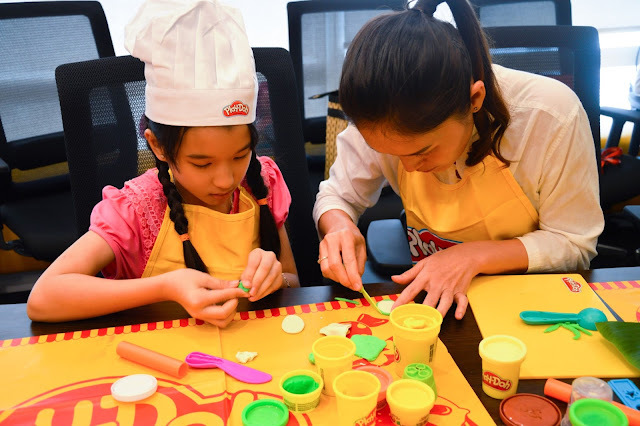 The winner, Eunice Foong Yin Tong, 9 years old, had the opportunity to work with Michelle Lim (Instagram: @foodmakesfun), a food artist to create a series of Malaysian-inspired Play-Doh sculptures to celebrate both Malaysia Day and World Play-Doh Day! Michelle Lim, food artist and Play-Doh Malaysia’s first Doh-Bassador of Creativity, Eunice Foong posing with their Malaysian-inspired Play-Doh Food sculptures. Play-Doh Malaysia embarked on a nationwide search to find Malaysia’s most creative child. Both Malaysia Day and World Play-Doh Day fall on 16 September 2017,(it's my birthday too!) 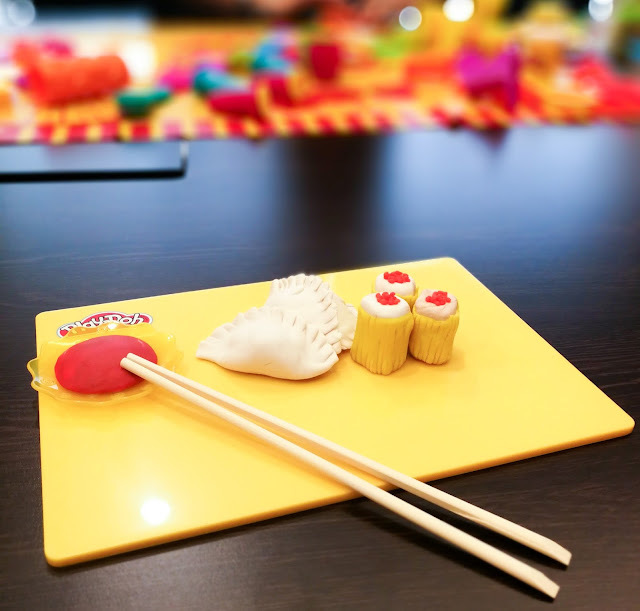 and this year Play-Doh Malaysia celebrated it in a special way by unveiling a series of Malaysian-inspired food made with Play-Doh compound. 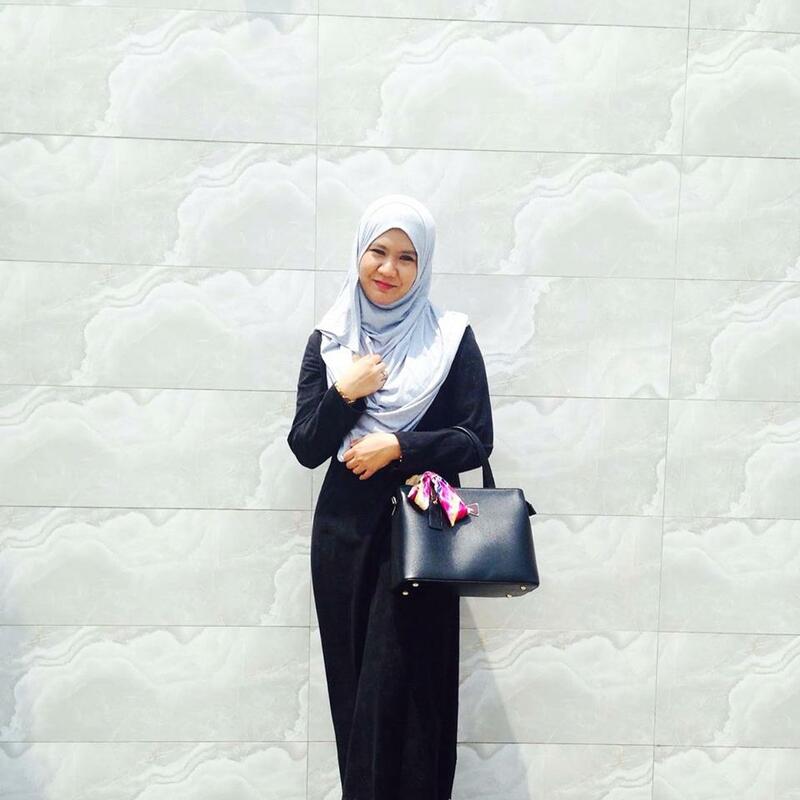 “I am so happy to be selected as the winner and receiving so many Play-Doh products! I have always wanted to own more Play-Doh products and now I have fulfilled my wish to do my version of “masak-masak” and more at home! It is fun and challenging! ” said Eunice. Eunice and Michelle working closely to create one of the famous Malaysian cuisines - Nasi lemak using Play-Doh compound. 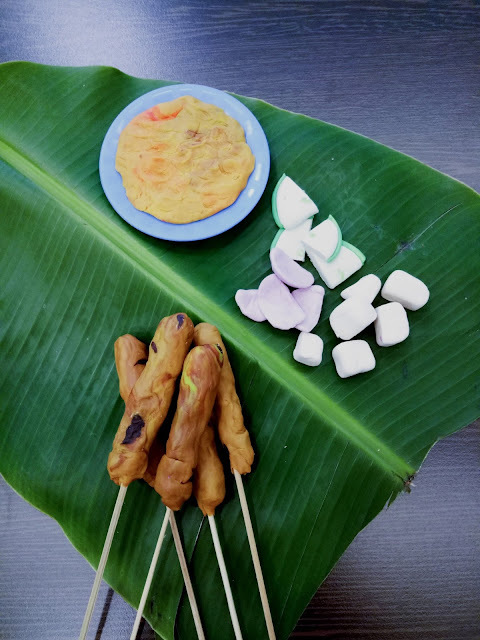 With Michelle’s guidance and help, Eunice and she have sculpted a series of Malaysian-favourite foods, including Nasi lemak, Satay, Roti canai, Dim sum, and Ice kacang. 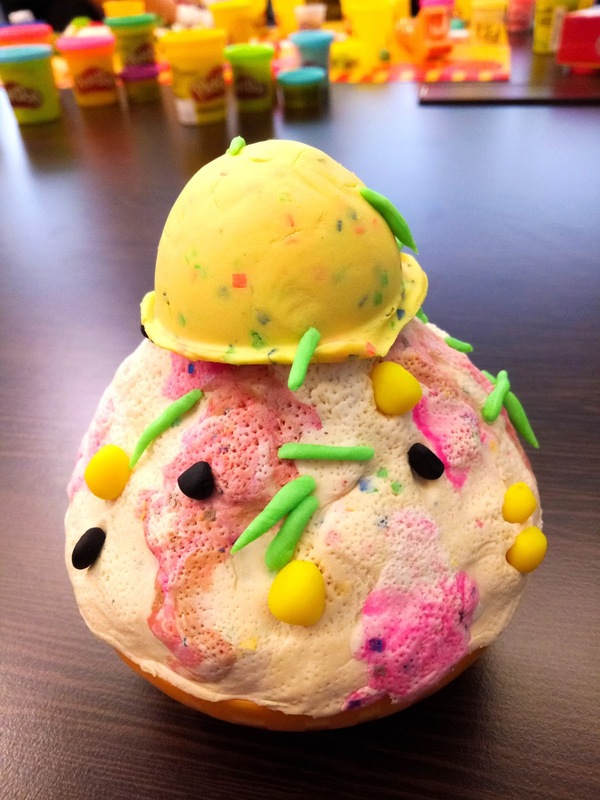 In addition, Michelle Lim, a talented mother with two young kids, has been showcasing her food-creation talents with Play-Doh on her Instagram; showing how Play-Doh encourages creativity and “Open-ing A Can of Imagination”. 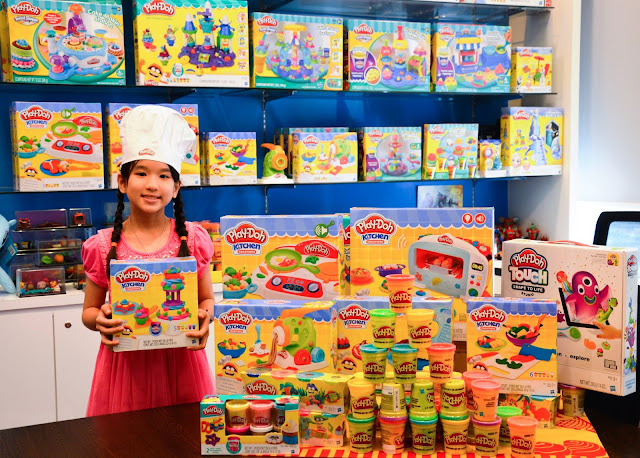 Play-Doh Malaysia’s first Doh-Bassador of Creativity, Eunice Foong Yin Tong with her prize, RM1,000 worth of Play-Doh products. 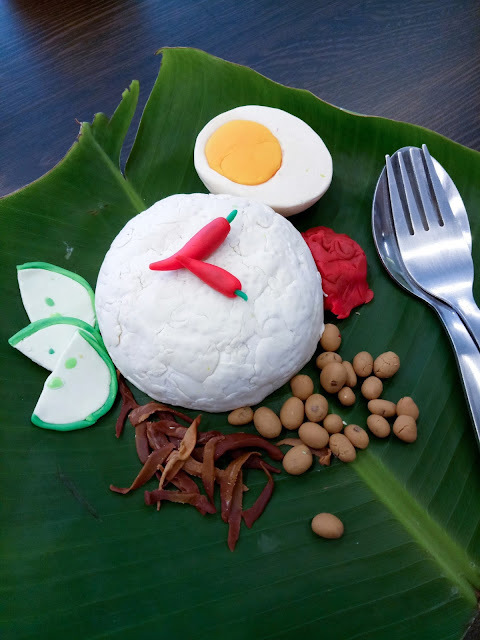 Nasi Lemak, one of the Malaysian inspired sculptures by Eunice, Play-Doh Malaysia’s first Doh-Bassador of Creativity, sculpted with the help of food artist Michelle Lim. Kelly Yip, Brand Manager of Hasbro Toy (Malaysia), Eunice Foong, winner of Play-Doh Malaysia’s Doh-Bassador of Creativity Contest, and Michelle Lim, food artist after presenting their Malaysian-inspired food made with Play-Doh compound (Ice kacang, roti canai, dim sum, nasi lemak, satay) . With humble beginnings as wallpaper cleaner, the Play-Doh brand has come a long way. Starting off with only four colours of red, blue, yellow and white when they started, the modelling compound brand is now available in more than 50 colours! More than three billion cans of Play-Doh compound have been squished and squashed since 1956. Following Play-Doh’s 60th Anniversary last year, the Play-Doh brand continues to encourage creative, hands-on play with its various playsets such as Kitchen Creations, Food Role Play, Shape and Learn and the brand new digital playset Play-Doh Touch. 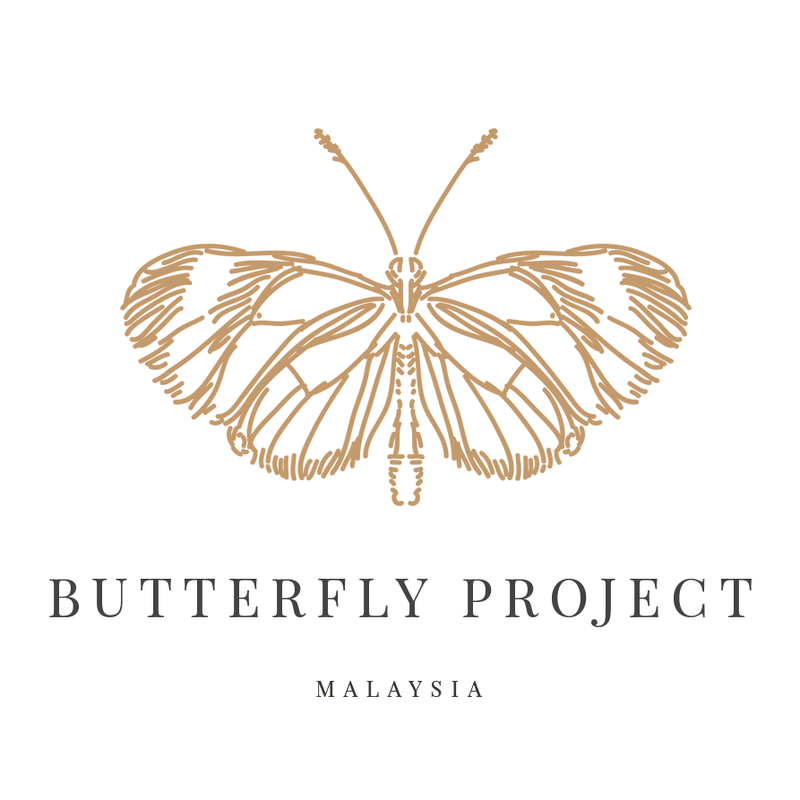 Hope this exciting activitie will be continue again next year, its time to polish our kids creativity!